Just made these great cookies from Giada on Food Network. The full recipe can be found here. 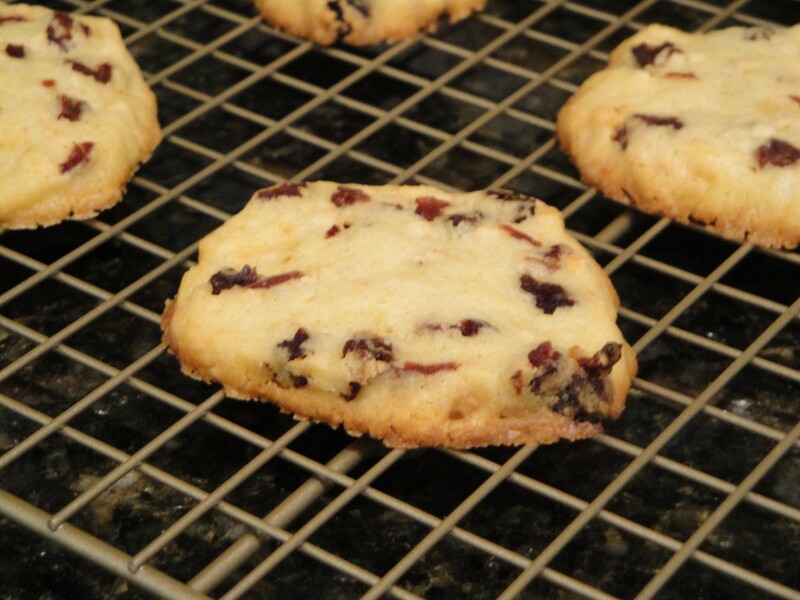 The cookies are made from butter, sugar, an egg, vanilla and almond extract, cinnamon, dried cherries and toasted almonds. I followed the recipe exactly, but decided to skip the icing since the cookies seemed sweet enough to me between the dried cherries, vanilla extract, and almond extract. Definitely not a diet item due to the full stick of butter for approximately 24 cookies, but worth every calorie! Check them out when you’re looking for an alternative to chocolate cookies! This entry was posted in cookies, food network, fruits and tagged cookies, food network, fruits by Maia. Bookmark the permalink.